Baking was put on hold. Fresh tomatoes were layered with fresh mozzarella and basil and sprinkled with balsamic and olive oil. Blueberries were thrown on top of plain yogurt and honey. Sandwiches were eaten with cold, salty dill pickles. 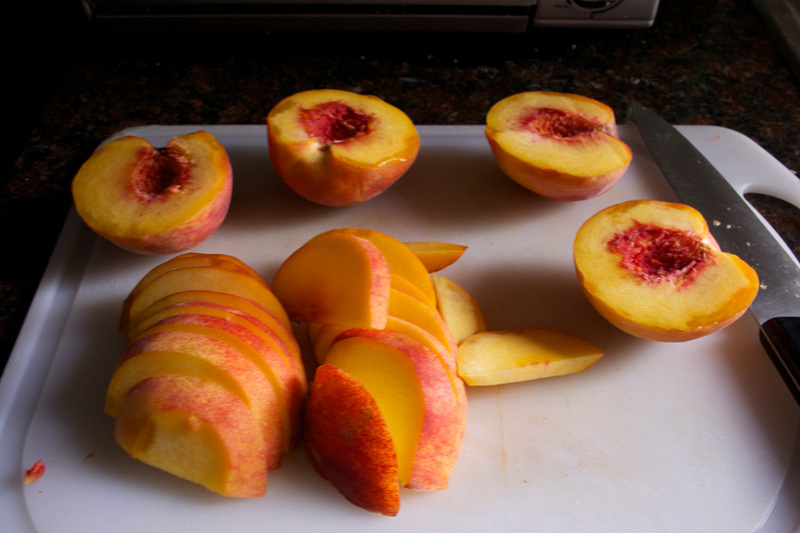 Peaches were sliced and consumed without being sautéed in butter and sprinkled with almonds. Fire? What fire? I refuse to admit that I have a working oven when it gets that hot. I accept that summer has to exist. That it has to be horrible in this concrete jungle for fall to be glorious. I welcome the produce, the daylight, the ocean. And the segue. Boiling temperatures and then one full week of intensely humid weather later, and finally, as September began to near its double digits, it broke. All things go: the oven could be turned on again. Fruit could be caramelized in nests of buttery dough. 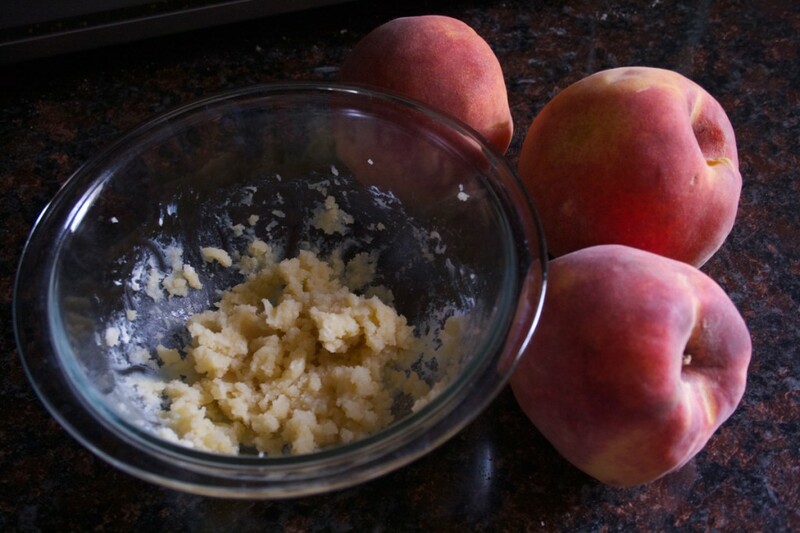 Those peaches were going to be something. They were going to melt in heat with sweet almond paste. They were going to line a mattress for crunchy, sliced almonds. 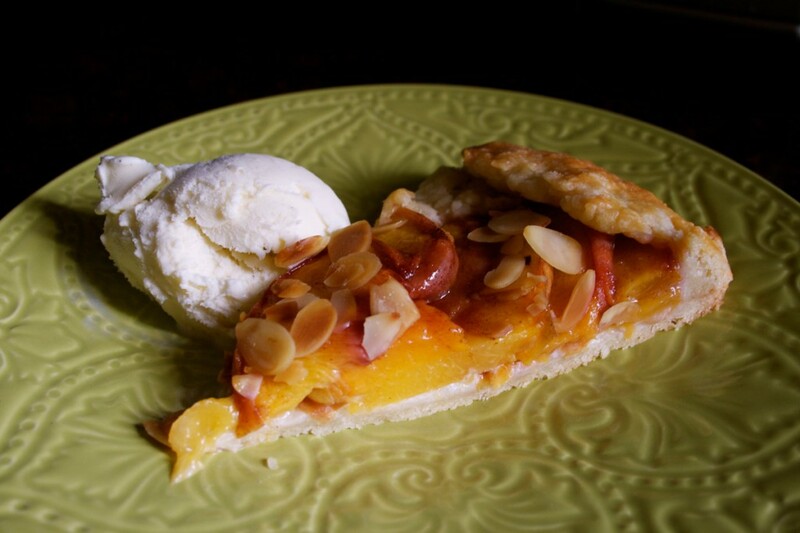 They were going to be the shining star in a crostata, and almonds were going to be the sleuth that would make them shine. So what is a crostata? Put simply, it’s really just your run-of-the-mill rustic tart. Free-form, messy, easy, and beautifully delicious. It’s the deceptively elegant dessert you make when you don’t want to deal with a pie plate, a perfectly circular rolled-out crust, or the chore of weaving together strips of a lattice top. It’s also the perfect step towards your Thanksgiving pie – I’m giving you two months to practice here. I’ve been making my own pie (and crostata) dough for many years now, but only recently have I reverted from using a food processor back to making it purely by hand, thanks to the encouragement of Deb Perelman of smittenkitchen fame. These are the things you sacrifice when you have no dishwasher. And surprisingly, it turns out even better if you do it right. 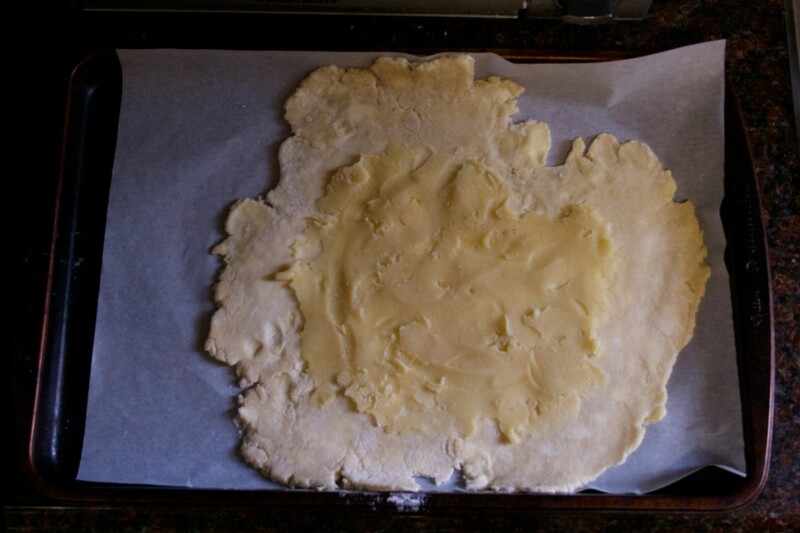 Using a pastry blender helps ensure that you don’t over-process the cold butter, promising an ultra-flaky crust. If you have a working freezer, you can easily just pop in your bowl for a moment or two if you feel the butter is beginning to soften. It’s also helped teach me not to over-hydrate my dough: a rookie mistake that I was making for years and that toughened the crust. And, most importantly, it’s all but assured everyone in my life that they will eat more pie. So this? 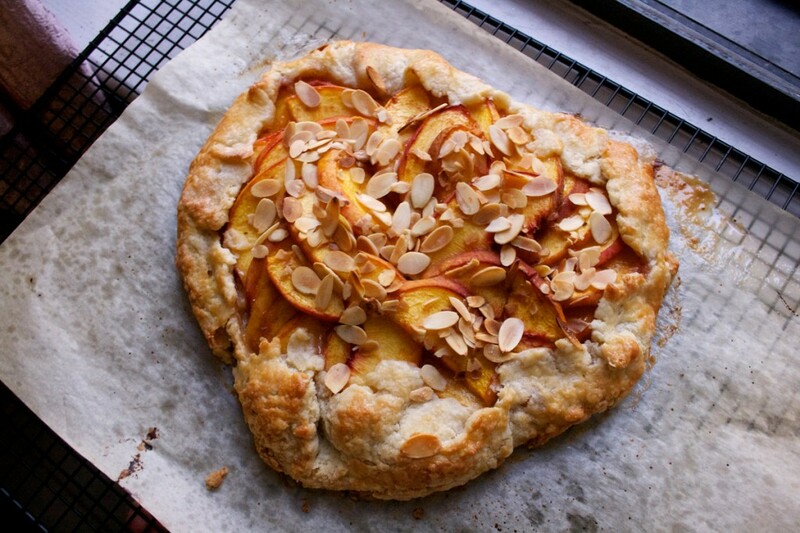 This is a peach and almond crostata. 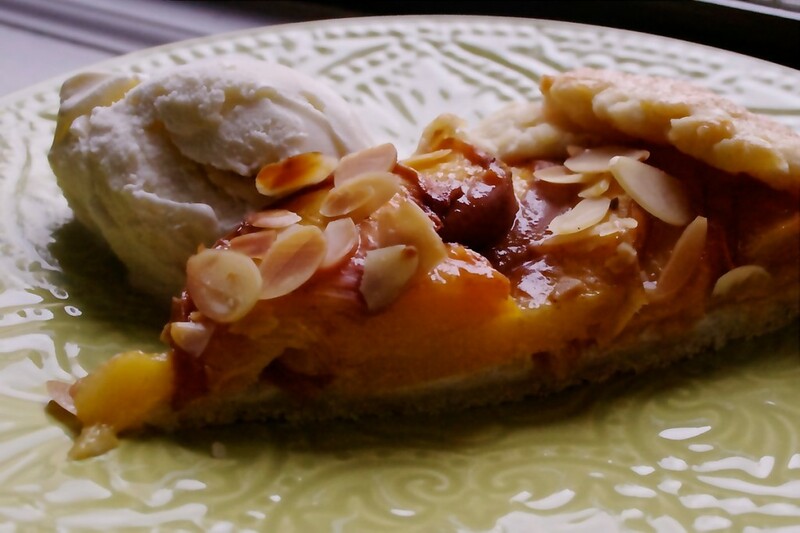 You can leave out the almond paste base and still have wonderful tart, but it peeks out ever so slightly and tempers the peaches’ tartness. It creates a balance. It creates elegance. Your friends, I promise, will ask you what that sweet, mysterious guest is tickling their tongues. The further back towards the crust they get, the more enthusiastically they will devour it. Pair with vanilla ice cream and this is, in my opinion, the perfect way to settle into the waning days of summer. I use Deb Perelman’s tips to pull together and roll out my dough. Her recipe is fantastic, but I like my crusts just a little sweeter, so this guy has a bit more sugar. The key is to keep your ingredients very cold and to not overwork your dough. I am terrible at rolling crusts out to a perfect circle, but in this case, it’s okay if it’s completely misshapen. If the dough tears, just pinch it back together. This is a fly-by-the-seat-of-your-pants kind of dough. 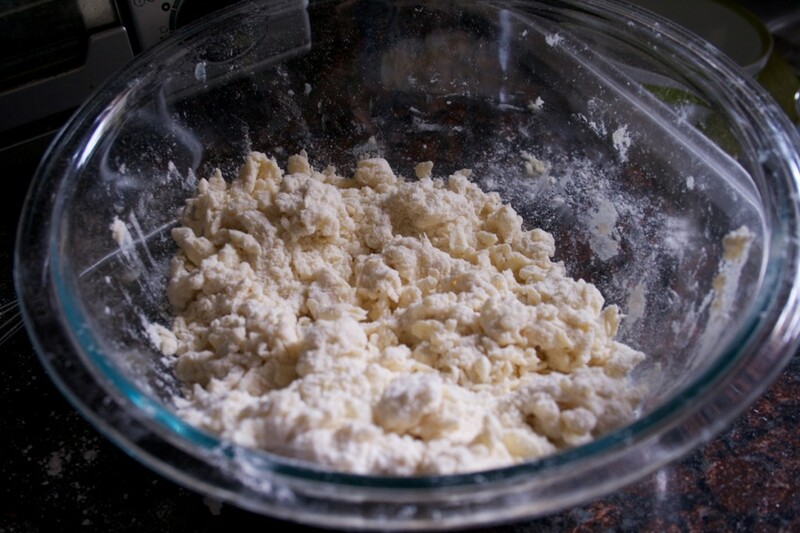 To make the dough: whisk the flour, sugar, and salt together in a large, preferably wide bowl. If your kitchen is hot, freeze your bowl for a few moments before beginning. 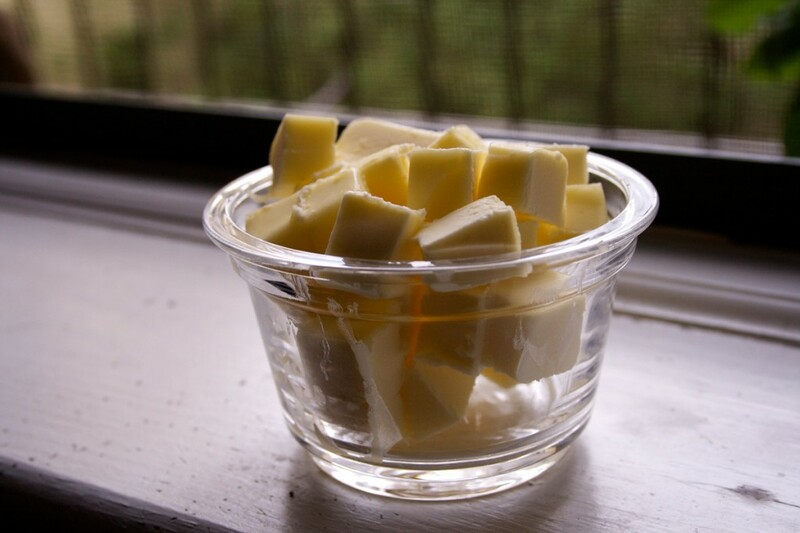 Scatter your very cold butter over the top. I like to keep it in the freezer for 5-10 minutes after dicing it. Cut it into the flour with a pastry blender or your fingers until the butter is the size of small peas. If the butter begins to soften while you’re working it, place your work bowl in the freezer for a moment or two. Drizzle your ice-cold water over the top. With a flexible spatula, pull the mixture together until it begins to come together. It’s okay if it’s dry, but if it crumbles when you pick the mixture up with your fingers and try to squeeze it together, add more water, one tablespoon at a time, being careful not to add too much. 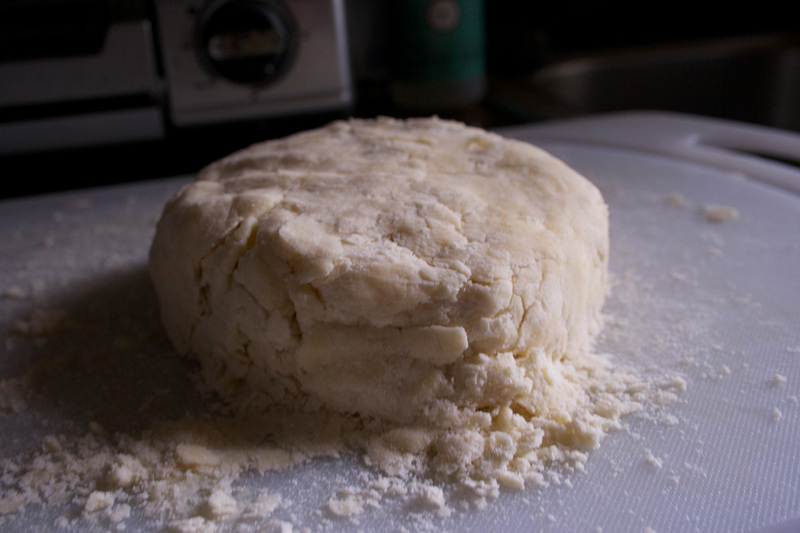 Turn the dough out onto a clean work surface and gently knead to incorporate any loose bits. Form into a disc and wrap in plastic. Refrigerate at least one hour before using. Meanwhile, prepare your filling: Beat the almond paste, softened cream cheese, and sugar together with an electric mixer on medium speed until smooth. Cover with plastic and refrigerate until ready to use. 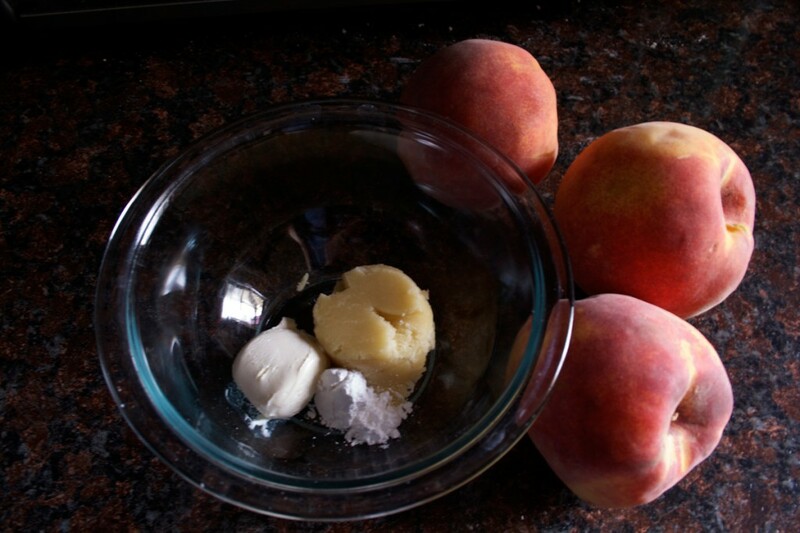 Combine sliced peaches, sugar, and cinnamon in a medium bowl. Set aside. Preheat oven to 400 degrees with a rack in the center. Line a baking sheet with parchment. Place your disc of dough on a clean, generously floured counter, and sprinkle with flour. Roll the disc out into a 12-inch circle, lifting and rotating the dough a quarter turn after two rolls and adding more flour as needed. 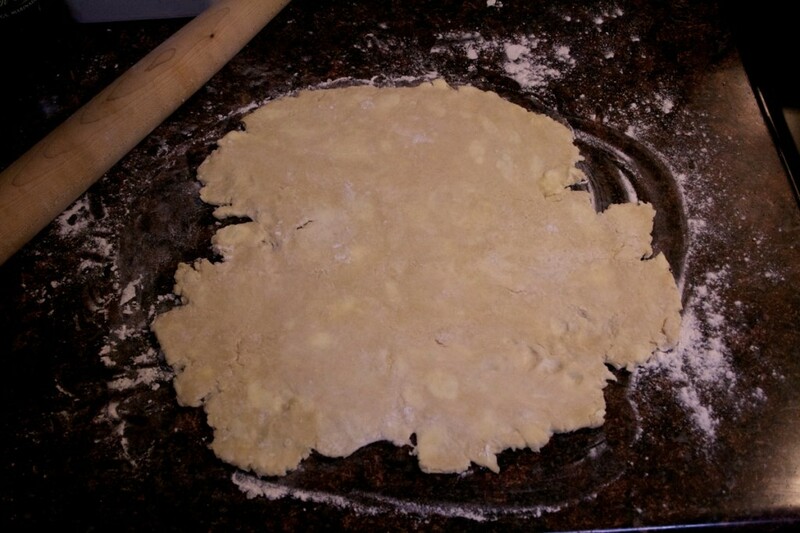 Gently place dough on parchment-lined baking sheet. 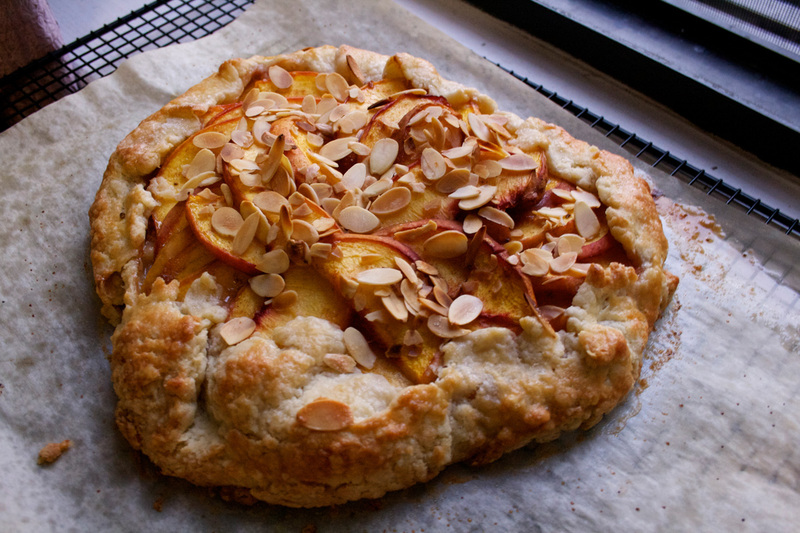 Spread almond filling over the dough with a flexible spatula, leaving a 2-inch border. 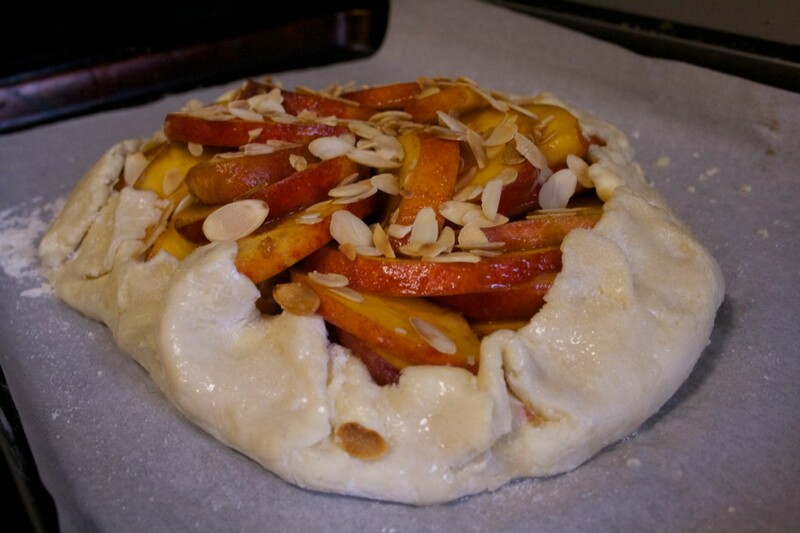 Pile peaches in the center over the filling. If you’re feeling fancy, layer them in a spiral. Fold the edges of dough up over the filling, pleating as necessary and pinching to seal any cracks. Sprinkle almonds over exposed filling. Brush the crust with the egg wash and sprinkle with sugar. 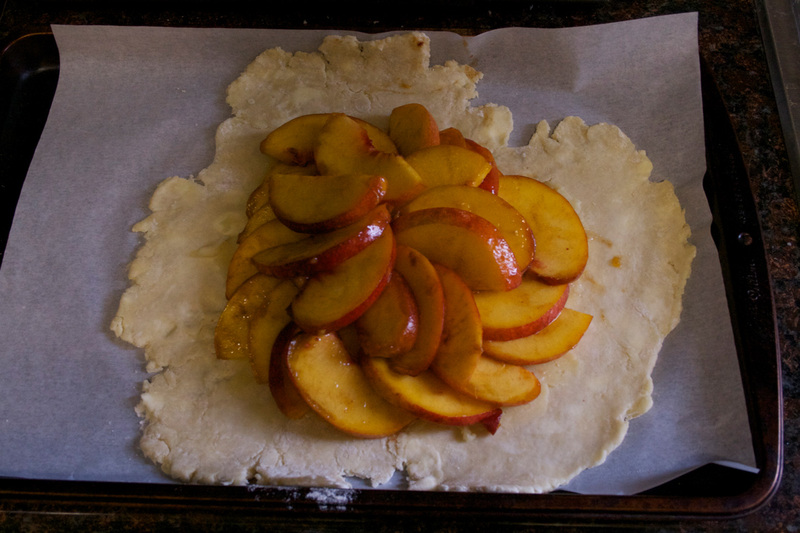 Bake the crostata until the crust is golden, about 40 minutes, rotating the baking sheet halfway through. Transfer the baking sheet to a cooling rack and cool for at least 10 minutes, preferably longer. Slide a spatula under the crust to free from the parchment and cool until lukewarm. Serve as is or with your favorite vanilla ice cream or gelato.